Bluebird Chain & Findings LTD has been trading for more than 35 years and is located in West Sussex in the United Kingdom. We manufacture and distribute various types of jewellery all over the world. We supply Base metal jewellery, Sterling Silver and 9ct Gold. We are pleased to feature a wide variety of jewellery components and findings for you to choose from, varying from a standard plated chain to a luxury sterling silver necklace chain and everything else in between. We also suppler rubber moulds for white metal casting. However, as a manufacturer of a range of jewellery findings and components, we also stock and distribute the equipment that you need if you are a jewellery making hobbyist. Our chain is available in made up necklets or meter lengths; 5 or 10 meters on a card, spooled or in continuous hanks. Special lengths are also available. The product pictures show the chain unfinished and unassembled (Please note: We do plate and assemble the chains into necklets if required). 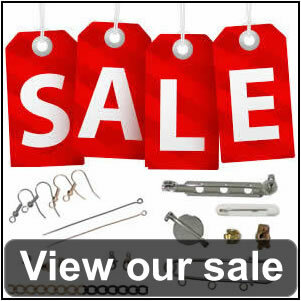 Our free catalogue is available on request and has been very popular among customers who want to browse our large selection of jewellery making supplies. To make an order, please fill out the online ordering form. You can also order over the phone, email or fax. We accepts Cheques, BACS, Debit and most Credit cards are excepted for pro-forma invoices. Trade accounts can be applied for after a trading pattern has been established and subject to standard reference checks. Plated necklet chains are available in any lengths required or carded in continuous lengths. Most items are from stock and can be despatched without delay apart from chain, which has to be cut and assembled according to size required. Please allow 3 weeks. Click here to view Machines for Sale.